Scientists studying culturology at SibFU School of the Humanities conducted linguistic field research at the villages of Evenkiyskiy Municipal District of Krasnoyarsk Krai working for "Revival of the Evenki Language" project. The research is funded by the grant of PJSC East Siberian Oil and Gas Company, a subsidiary of PJSC Rosneft Oil Company. "Such research is of great significance for indigenous small-numbered peoples of Evenkiyskiy Municipal District and has never been conducted at the District before" — says Professor Natalia Koptseva, Head of the Department of Culture Studies at SibFU School of Humanities. Statistics show that the percentage of the Evenki people speaking their native language is on the steady decline. In 1997 about 30% of the Evenki were fluent in their native language and that number decreased to just 15% in 2017. Scientists make a point that it happens because Evenki people do not use their native language in their families anymore. 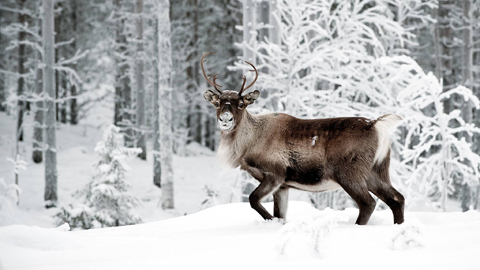 This is mostly due to the trend of less Evenki people having reindeer herding as their occupation and less and less of them living a nomadic life in taiga because many elements of their native language are related to the traditional trades. "During the field work, we recorded folklore of the Evenki people, interviewed experts involved in the Evenki cultural heritage issues in the Tura and Baikat settlements of the Evenkiyskiy Municipal District. We are digitizing the collected media (photo, audio and video) now. All of that will be included into a collective monograph "New projects for the revival of the Evenki language", — said Natalia Koptseva. The results of the field research will be used to develop up-to-date methods and effective technologies for the revival of the Evenki language, and to create environment that will help young Evenkis develop positive attitude towards their ethnocultural identity. The first audio library of the Evenki language will be an important part of this process. Project results will be publicly discussed and overviewed by experts at Siberian Federal University in the fall of 2018. The research was funded by the "East-Siberian Oil and Gas Company", which provides financial support in two other Evenki-related projects implemented at the Siberian Federal University: "The Evenki Reindeer" and "The Red Book of Evenkia".